Bea's Book Nook: The 2017 Edition of The TBR Book Tag - How Many Books Are In My TBR Pile? The 2017 Edition of The TBR Book Tag - How Many Books Are In My TBR Pile? My definition of a TBR, or To Be Read, pile consists of books actually in my possession. I own them or have borrowed them, whether from the library or a friend. If it's a book I want to read but don't have in my possession, then it's a wish list book. My wish list is a mix of books I want to review, books I want to own, and books I just want to read. I use it for "shopping" the library and for requesting review books as well as for my personal shopping list. I still use Goodreads. I don't do well with spreadsheets and GR is always available, on my laptop, my phone, or my tablet. Although, my stepmother did give me a book for Christmas to track what I want to read. She honestly has no clue how much I read or how many books I have but it was a sweet thought. Actually, I may use it to track print books borrowed and lent. 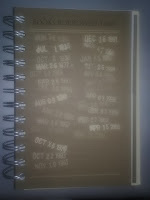 The book is divided into three sections and that's one of them. That could be useful. I love the old fashioned library theme to it. 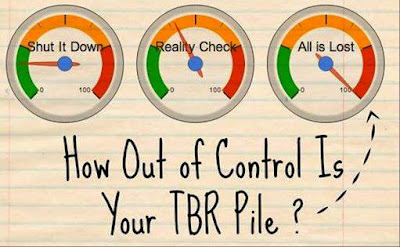 Is your TBR pile mostly print, ebook, or audio? Probably ebook. I own a lot of print books, and get the occasional print review book, but 98% of what I purchase these days is ebook with the remainder print or audio. But when I get books from the library, it's about 75% print and 25% digital or audio. Currently I have 3 books from the library; 2 are hardcover and 1 is Kindle. I'd say about 95% of my review books are digital with the rest being print. It's a mix of mood and schedule. I look and see what's due for reviews, for library books, and what I'm in the mood to read, then decide. This year, I'm participating in 4 challenges, and those will also determine what I read. One is the Goodreads reading challenge and that's just to see how many you can read in a year so it won't affect my choices. But the others will. 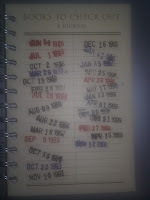 I'm doing a library challenge to read more books from the library, a backlist challenge to encourage reading those books that have just been sitting around, collecting dust so to speak, and a blogger shame challenge for all those overdue review books. So, I'll definitely be picking books with an eye to those as well as my review schedule. Mood will largely determine the specific books I pick. Actually, it's the book that's been on my GR TBR shelf the longest but I'm pretty sure I have some books that I haven't catalogued yet that may have been waiting longer. I really need to finish cataloguing, if only for insurance purposes. The last book I purchased in 2017 was an anthology, "British Murder Mysteries", but I didn't add it to Goodreads until 2018. The last book I added to my GR TBR shelf in 2017 was "An Extraordinary Union" by Alyssa Cole. The first book of 2018 was a Kindle freebie, "Death at the Summit" by Nikki Haverstock. None. This answer is unlikely to change. The cover may catch my eye, and I picked up several in 2017 because the cover was wonderful, but if the blurb doesn't appeal, I skip the book. 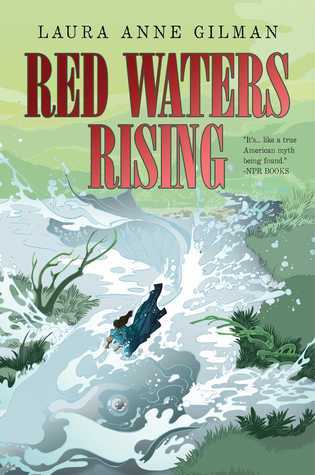 That said, I pass up books, don't even read the blurb, when I find a cover unappealing. None. I may not get to them all but I intend on reading every one, eventually. Some day. Then again, they say the road to hell is paved with good intentions. But I do want to read them all, eventually. I wouldn't keep them if I didn't. That said, I do periodically prune my books. I look at a book and if I can't recall why I was excited about it, why I got it, I get rid of it. If I've changed my mind about it, there's no point in keeping it. I'd rather let someone else enjoy it. There are some books on my Review Consideration shelf that are far down the list but the fact I've kept them instead of getting rid of them means I'm interested and want to read them someday. None. Because if it's unpublished, it's on the wish list. However, looking at my wish list, there are four that I'm so excited about I'm bouncing while waiting: I'm still waiting for "Blades of Spring", the next Ashfall book by Mike Mullin, due out sometime this year or next; the next October Daye book, "Night and Silence" by Seanan McGuire, this fall; "Wolfhunter River" by Rachel Caine, book 3 in her fantastic Stillhouse Lake thriller series, also this fall; and Red Waters Rising, the final book in Laura Anne Gilman's Devil's West trilogy, this spring. Well, there's more than one but I'll pick "The Single Undead Moms Club by Molly Harper". More than one, many more, so I'll pick three: "A Princess in Theory" by Alyssa Cole, "Seeking Mr. Wrong" by Tamara Morgan, and "This Fallen Prey" by Kelley Armstrong. Hi, I'm Bea *waves* and I collect hoard books. As of December 31st, 2017 I had 1,803 books on my TBR shelf and 1,058 books on my wishlist shelf. Eeeep. And yes, both shelves have increased in number in the past week. I've read 3 full-length books so far this year and I'm halfway through a fourth. Last year, I read 355 books in a variety of formats, lengths, and genres. For the first time last year, I made a concerted effort to include all of the books I read in the classroom. I didn't get them all but I got about 75 - 80% of them though for the most part, I did not track re-reads of classroom books. I did track re-reads of other books. My Goodreads goal this year is 200. Using totals from my Goodreads challenges between 2011 and 2017, I've averaged 262.429 books a year. So, using 262 (last time I did this, I used 250), it should take me 6.882 years to read the 1,803 books on my TBR shelf at the end of 2017. Except, of course, that I've already added books to the shelf. I really need to slow down my acquisitions and spend more time reading. And reading for fun, not just to meet a goal or write a review. Maybe this will be the year I get a handle on that. Found on Tumblr. Click image to go to source. TAG! You're it! Share in the comments or do your own post. How many books are on YOUR TBR pile? Ah,juggling review sites. I've done that and it's work. It sounds like you have a system in place, and that's important. My TBR pile is out of control. I know that I will never read everything I own. I have some books that have been on my shelves for 20 years. I keep thinking that I will read it when I retire. 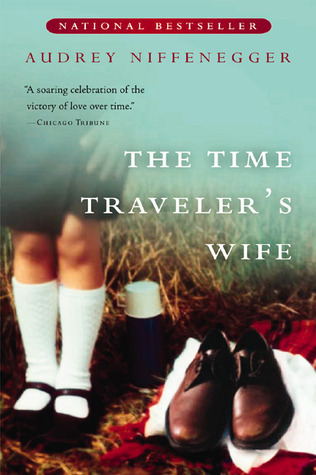 I do love The Time Travelers Wife and hope you do as well. Realistically, I'm unlikely to read all of my books but it's a goal, something I can strive for. Good luck with your TBR pile! Goodreads is handy for tracking books you want and books you've read. I always forget you don't request ARCs. That does make things simpler.